Take a deep, calm and cleansing breath this week! See what's in store for you personally with a Horoscope Tarot reading, and here's the lowdown on the key cosmic events the week of March 23-29, 2015. This Tuesday, Venus in Taurus will be at a supportive sextile to Neptune, the planet of spirituality and unconditional love. 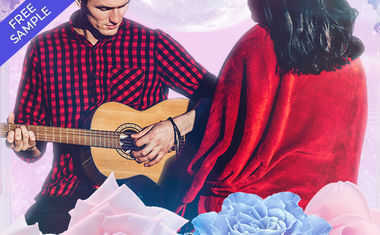 You and your sweetheart will feel a true soul-mate connection now. This will be the type of bond that transcends the physical realm. 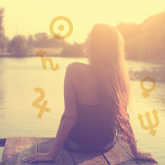 Then, on Wednesday, the Sun in Aries will trine Saturn, bringing you the perfect opportunity to stabilize whatever it is you'd like to pursue for your personal development. Sure, you're passionate about it, but sometimes passion isn't enough. Sometimes, you need a plan. This energy will help you create one. Last but not least, Venus and Jupiter in Leo will square off on Friday. When the two happiest planets in the zodiac engage in the most difficult astrological link, it's a bit of a conundrum. Nothing terrible can really happen, but it also tends to exacerbate the indulgent qualities of these planets. Think "over-shopping, over-spending, over-eating" … you get the idea. Have fun, just don't overdo it!